Yesterday was dressage day, and first was Atlantic Vital Spark who really put in a very good performance. I was very pleased with his whole way of going, and he did as a good a test as he could at the moment. 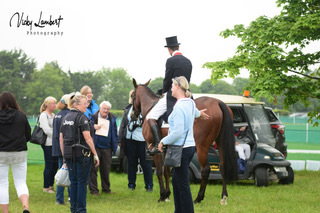 Annoyingly he took off on the wrong leg which was an expensive mistake and he ended up with a score of 30.4 which had in him 12th place. Little Fire was also on dressage duty, and as last year he got quite excited I was quite nervous that he should behave this time. He was very much on his toes and feeling great and he really did knuckle down and turned in a very decent test. He was very concentrated and relaxed, and in our opinion he very much deserved his score of 27.7. It is always frustrating to make a few mistakes and there are a few things that will one day earn him a very good mark. Today started off with Yes I Can in the 2* dressage. He was in a very good frame of mind and put in some lovely work, and I have to admit to being a bit disappointed with his 33. However I did turn in the wrong place on the centre line which was a bit incompetent, and that is now more costly, so he would have been on 31. However I had rather hoped that he would have been comfortably in the 20's. He is well down the order but I am just hoping he copes with the questions tomorrow and the whole occasion. 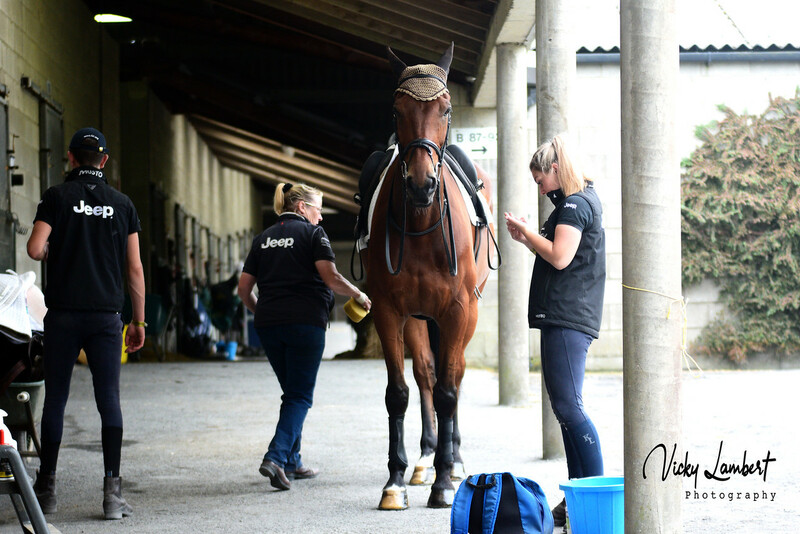 After Yes' dressage it was on to Atlantic Vital Spark's 1* cross country, and he gave me a lovely ride making it all feel quite easy and finishing comfortably inside the time. It was quite a big atmosphere for him and he matured all the way around. Happily he looks good tonight so I am optimistic for the trot up tomorrow. 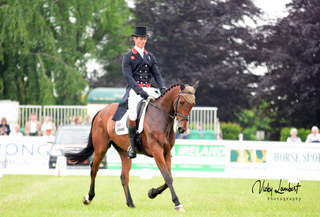 Then it was back into dressage for Bay My Hero in the CIC3*. After Chatsworth he was really back on form and even though he has been very excited to be here he had his sensible hat on to score a very pleasing 26.7. He even fluffed one of his changes but i would be very happy with Moonie getting that sort of mark on any day. That has put him in 5th place, and in contention, and if he jumps well tomorrow evening he could really be in the hunt. Ludo was my last outing of the day going cross country, and I was very optimistic about the course for him, even though he is a bit on the green side still. However it was not to be his lucky day, and he had a really unfortunate fall at the first water at number 6. He was perhaps a bit surprised by the size of the fence in and he landed completely out of balance giving me a very good soaking. The rain never really came today so the ground is still pretty firm, I am hoping that some of the watering will have helped for the 3* tomorrow.